This integration will allow you to connect with Pipedrive and start collecting your data. It is a matter of minutes to send your customer data (like deals, or customer details) data to feed your BI, your data warehouse, or your custom analytics stack. 1. To add this integration, go to Blendo dashboard. Click “Add a Source“. We will need the Pipedrive API Key. Here is how to get it. 1. Open a new tab in your browser. Login to your Pipedrive dashboard. 2. On the top bar, at the top right of your browser window, click on the down arrow next to your name. 4. In the new window, click as follows. Click on Personal > API. Copy the PersonalAPI Token (or create a new if you want). 5. Let’s go back to our web browser tab with Blendo. 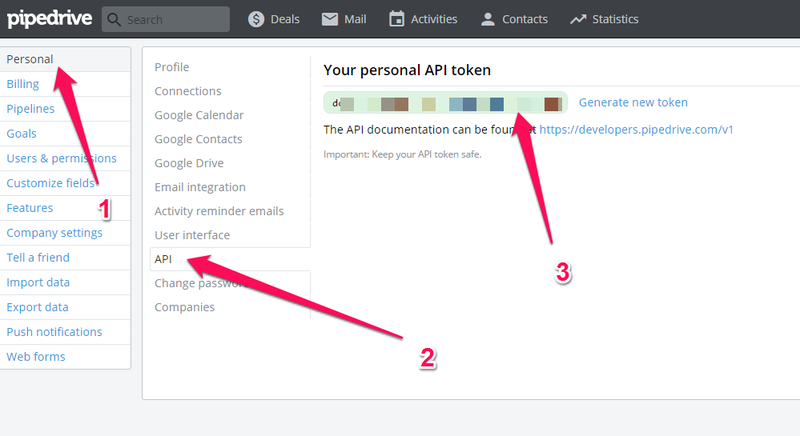 Paste your API Token into the API Key box at Blendo. Click Validate & Save. When Blendo first connects to Pipedrive Data source, will pull all your historical data. Blendo syncs Pipedrive data based on the schedule and frequency you choose. The default setting is every 1 hour but is configurable from inside the app. The first time Blendo syncs your Pipedrive data performs a full replication. Then your Pipedrive data is replicated incrementally. Meaning that Blendo will replicate only new and updated rows to your destination data warehouse. What Pipedrive data do I have available? Bellow are some of the tables with Pipedrive data that we create in your target data warehouse. Columns of this table include: assigned_to_user_id, company_id, deal_id, duration, subject. The table contains information about the Deals in Pipedrive. Columns of this table include: close_time, lost_reason, lost_time, org_id, person_id, stage_id, title. The table contains information about the Notes in Pipedrive. Columns of this table include: add_time, deal_id, org_id, person_id, update_time, user_id. This table contains information about Organizations in Pipedrive. Columns of this table include: address, owner_id, reference_activities_count, undone_activities_count. This table contains information about Persons in Pipedrive. Columns of this table include: company_id, first_name, last_activity_date, lost_deals_count, org_id, Postal address, won_deals_count. 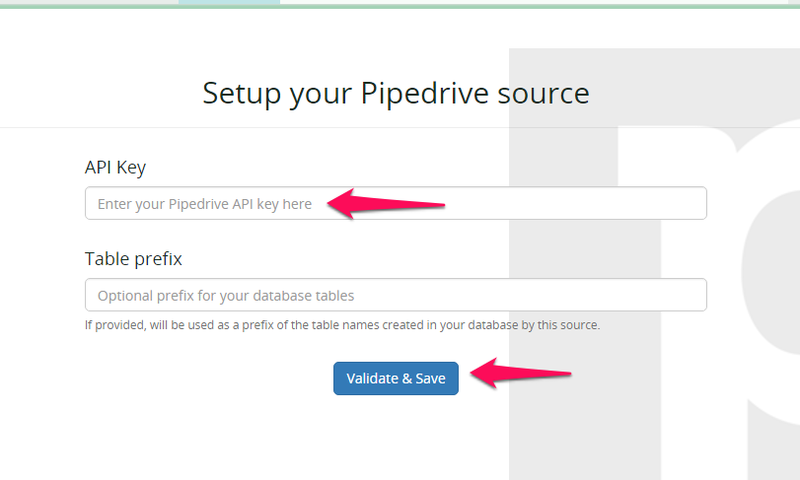 This table contains information about Pipelines in Pipedrive. Columns of this table include: name, add_time, update_time. 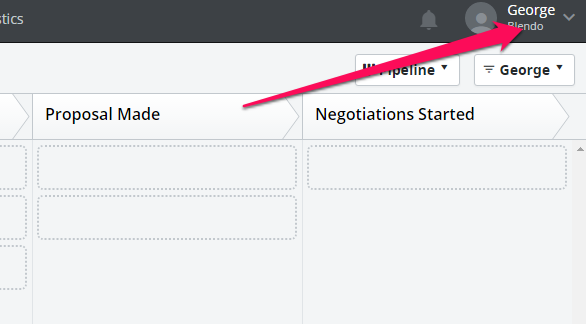 The table contains information about the deal Stages in Pipedrive. Columns of this table include: add_time, pipeline_id, type, rotten_flag. The table contains information about the users in Pipedrive. Columns of this table include: created, modified, last_login.